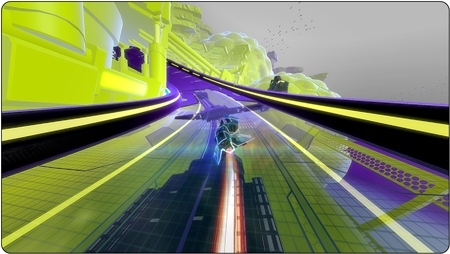 Fury is the first expansion pack to the leading futuristic racer, WipEout HD. Saying it’s an expansion is underselling it to say the least though. Fury features 8 new race circuits, 13 new ships, 13 new Trophies, 6 new music tracks and most importantly three new game modes. First up we have Zone Battle. This is similar to the old Zone mode but features competitors and level boosting with you needing to reach a set level first to win. Boosting is built up by filling up a bar by flying over the speed boost pads. You can unleash it at any time or max it out, then release it to propel yourself forward up to eight levels. Or you can re-absorb it to get some health back. There are no weapons, but when you or anyone else does use a boost it creates a ‘barrier’ which is an obstacle on the track that’s a bit wider than your ship. Hitting this takes a large chunk of your health. 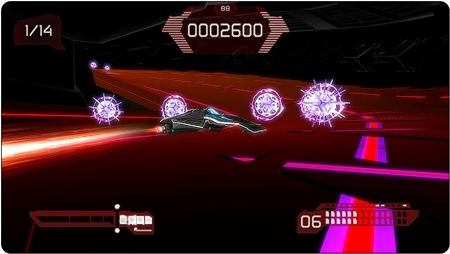 This mode is quite fun in single player but gets very hectic online and quickly becomes more about dodging the barriers than keeping your vessel on track at speeds exceeding 1000 km/h. Detonator mode is something very new to the series; it’s more of a target shooting game. 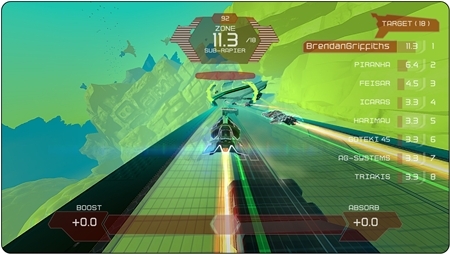 Ok, yeah it is WipEout so you’re doing it at thunderous speeds. You have infinite clips of laser ammo fired with square and reloaded by circle. It’s basically Zone mode with shooting stuff. Naturally, hit any of these targets with your ship and you’ll incur damage. There are also mines to avoid that require extra shots to take down. Or you could go for the EMP (Electro Magnetic Pulse) wave that you build up using the speed pads. It works a lot like the awesomely devastating Quake weapon from the original release. It’s a nice change of pace for the game, that’ll see you return to climb the leaderboards of each track. That’s the only online interaction as it’s a single ship game with no room for extra racers. Both of these modes look absolutely stunning as they use the Zone templates from the last game. With their simple, luminous colour schemes they really make the most of the 1080p output on HD TVs. You can even see parts of the track pulsing to the music. Frustratingly though all these levels are reserved for Zone, Zone Battle and Detonator, with the different, more floaty handling than the normal tracks. We can only hope that a future update will have races on these versions of the tracks too. Not to worry though, it’s not like the new ‘normal’ tracks look shabby. Far from it, they’re fantastically designed again with both day and night events. There also seem to be fewer cases of you falling off the track for the slightest mistake. You will spend plenty of time on the new tracks and new life will be breathed into the old ones with the final and possibly the best of the new modes, Eliminator. It’s not rocket science, WipEout finally got a deathmatch mode, and it’s nailed it. It could have been an epic fail if not for one sensible inclusion, a 180 degree flip option to face the other way. You can fly around the track in any direction, which is great for waiting around a corner waiting to unleash triple rockets. Matches are won by reaching a point target rather than straight kills. You win the most points for kills, but you can also earn them for inflicting damage and completing laps. All the familiar weapons are included and you’ll quickly learn what work’s best and you can afford to fire at will as weapons pads regenerate straight away. You’re almost guaranteed a kill or two with the Quake weapon, usually after someone else has worn them down. Absorbing weapons gives you a brief shield instead of health. Getting blown up will cost you points but you can regenerate as many times as you want. You can keep track of how far away your rivals are and which direction they’re facing via a handy, simple line radar at the bottom of the screen. This is essential to catch up or lurk in a dip. You’ll have to master the side-step-like manoeuvre to dodge all the bombs and mines. But soon enough you’ll be loving every second like a deranged, giant metal death-spitting wasp. The tracks work brilliantly for this new mode and fare better than any sort of new arena style deathmatches that would have been awful. As it is, it’s worked out to be the best thing to happen to the series in years. 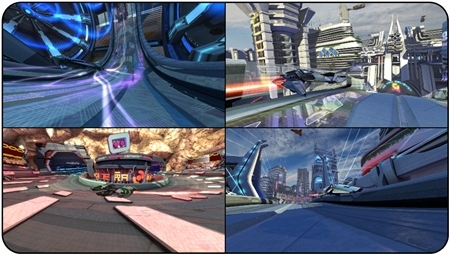 The single player campaign mode consists of these events and the ones from the original release (races, tournaments, speed laps). There are 80 in total that’ll last you a while before your confident enough to head online. Eliminator and Zone Battle make the cut for online matches with no signs of lag. Try and find eliminator matches with at least five racers so you’ve plenty to shoot at. There’s extra badges to be won and the level 50 cap has been updated to 100. Also, your stats can now all be viewed down to the tiniest obsessive detail. Fury feels more like a sequel than an update and has made a very good game absolutely essential. It would get a perfect ten if we had been given the chance to do proper racing and eliminator on the Zone coloured tracks. Hint: chance for a perfect ten next time guys. Download off store is 738MB. Total file size with recent updates is now around 1.8GB, so check your space. All above pics taken using the in-game photo mode, some angles changed but no visual effects added.